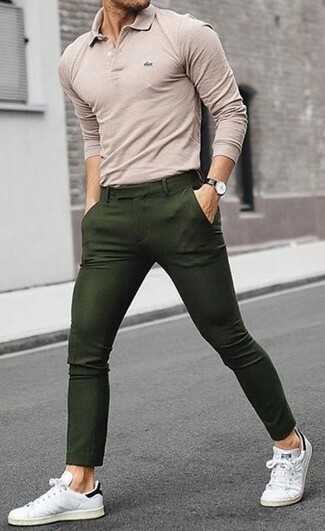 If you're hunting for a casual yet seriously stylish outfit, make a beige polo and olive chinos your outfit choice. These pieces are super comfy and look great paired together. When it comes to shoes, this ensemble is finished off wonderfully with adidas originals continental 80 sneakers. 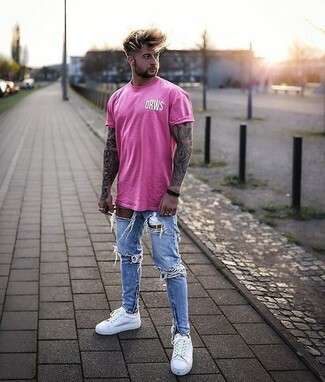 If you're all about relaxed dressing when it comes to your personal style, you'll love this simple pairing of a hot pink crew-neck t-shirt and blue ripped skinny jeans. Adidas originals continental 80 sneakers will instantly smarten up even the laziest of looks. 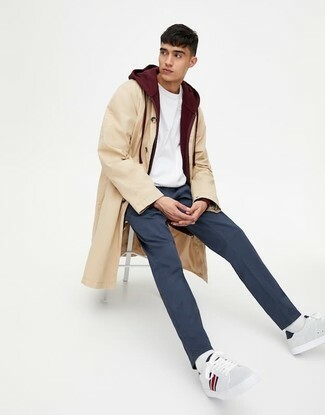 A beige raincoat and navy chinos are a good combo worth having in your current casual lineup. 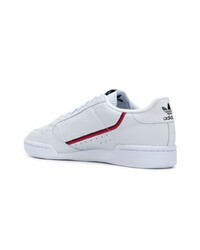 White leather low top sneakers are the perfect accompaniment for your ensemble. 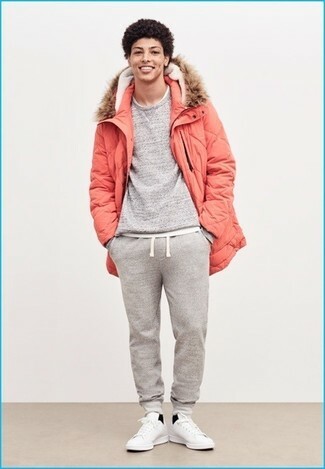 Consider teaming an orange parka with grey sweatpants, if you feel like practicality dressing without looking like you don't care. 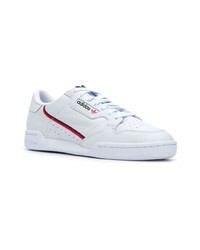 Lift up your getup with white leather low top sneakers. 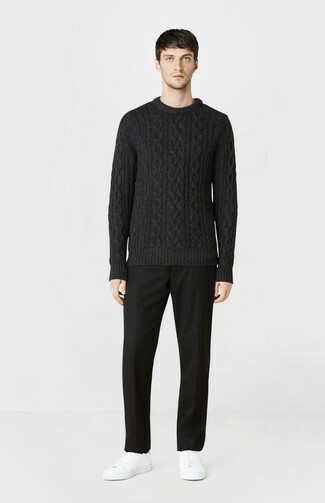 For a nothing less than incredibly stylish getup, consider teaming a black cable sweater with black dress pants. Adidas originals continental 80 sneakers will deliver a more relaxed feel to your look. As you can see here, getuping sharp doesn't take that much the place of work. 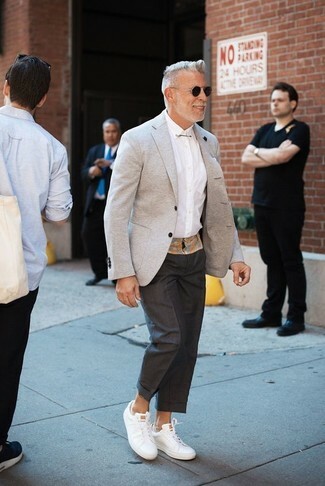 Just dress in a grey wool blazer and black chinos and you'll look incredibly stylish. Adidas originals continental 80 sneakers will deliver a more relaxed feel to your ensemble. 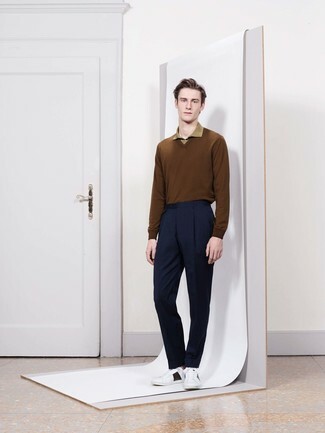 Consider teaming a brown v-neck sweater with navy dress pants for a sharp, fashionable look. 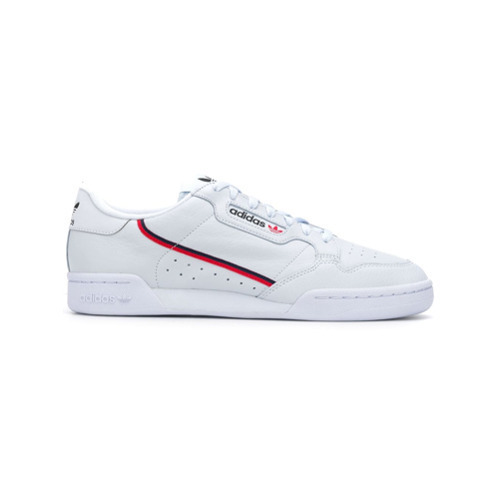 Rock a pair of adidas originals continental 80 sneakers from farfetch.com to make the ensemble current. 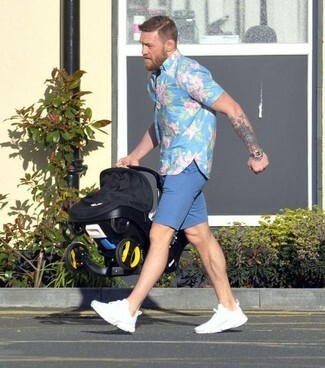 If you're after a casual yet stylish getup, reach for a light blue floral short sleeve shirt and blue shorts. As well as totally comfortable, both garments look great when worn together. 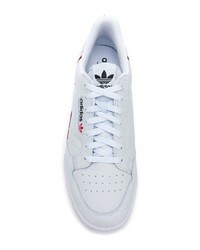 When it comes to shoes, this ensemble pairs nicely with adidas originals continental 80 sneakers from farfetch.com. Consider pairing a grey blazer with black dress pants for a sharp classy look. Break up your ensemble with more casual shoes, such as this pair of adidas originals continental 80 sneakers.